This qualification will enable you to improve the appearance of the hands and feet with a basic manicure and pedicure techniques, you will also learn how to provide relaxing head massage treatments, cleansing, toning and moisturizing treatments, and you will learn how to give advice on skin care, and basic day makeup application. 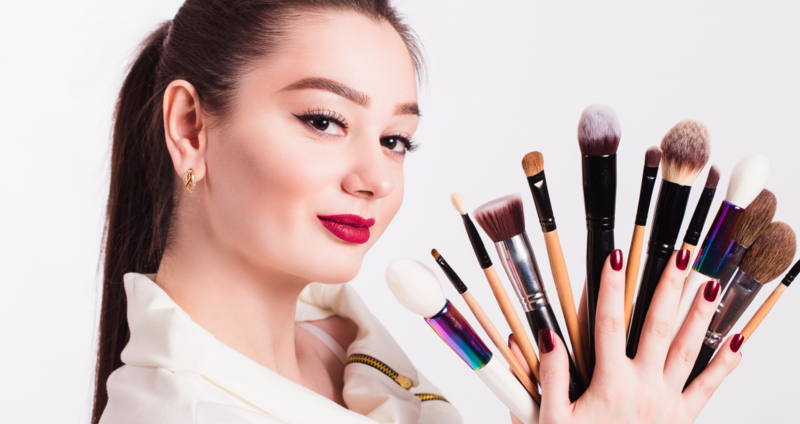 To further enhance your skills, you will also cover artistic and creative elements on your courses such as nail art, themed face painting, and photographic make-up. To underpin this qualification, you will develop a sound knowledge of health and safety and you will also develop an underpinning knowledge and understanding of the skills required to support you in the beauty therapy industry such as salon reception duties, retail displays and working with others. The qualification will be awarded to learners who successfully achieve an approved combination of units through a Portfolio of Evidence that has been successfully verified and monitored through VTCT Quality Assurance process. Achievement is therefore determined by successful completion of unit assessment with no further requirement for additional/summative assessment. There are no prior skills, knowledge or understanding requirements for this qualification. However, learners will benefit from having functional skills, at least at one level below that of the qualification. There are no prior qualification requirements for this qualification. There are no restrictions to entry for this qualification but learners should be 13+ age. This qualification includes all the required elements to work effectively as a beauty therapist including facial skincare, enhancement of eyebrows and eyelashes, waxing services, manicure, pedicure, effectiveness at work, health and safety and promoting additional products and services to clients. Learners will further develop their understanding and skills base by selecting a number of optional specialist units which include: ear piercing, make-up services, spa operations, threading, skin camouflage, salon reception duties the full list of optional units is presented in the learner Record of Assessment book (RoA) (specification). This qualification's structure provides learners with the flexibility to develop the knowledge, understanding, and skills depending upon their designated career pathway as a junior beauty therapist.